With this iteration of the class, I've aimed to shake things up a bit by changing out some of the readings. One new book adoption that I'm excited to teach is Rick Kennedy's The First American Evangelical: A Short Life of Cotton Mather. Although in graduate school I enjoyed Kenneth Silverman's Pulitzer-Prize winning Life and Times of Cotton Mather, it's not exactly an easy read to drop on students early in the semester. By contrast, Kennedy's "short life" fits my teaching needs exactly. It reads well and presents a humane appreciation for Mather, while situating him in his religious environment. I learned a number of interesting things from the book. Perhaps most important was the fact that Cotton Mather had shown up in the Marvel Comic Universe. As the time-traveling character Witch-Slayer, Mather brandished a burning cross to kill or control any witches he could find. The Marvel character Scarlet Witch would have been his next victim, had Spiderman not intervened. Now that's a connection I can teach with! Even further, Kennedy points out that in his great work of scholarship, the Biblia Americana (now itself a scholarly project under the auspices of Reiner Smolinski and his team), Mather compared King Nebuchadnezzar's illness in Daniel 4 to "a lycanthropy"--the condition of werewolves. This, too, should get my students' attention. Besides these great nuggets, Kennedy's book does several things well. First, it helps exonerate Mather from the charge that he was responsible for the debacle of the Salem Witchcraft Trials. Kennedy serves for the Defense in showing that attacks on Mather came from groundless charges. Kennedy thus writes to dispel a potent American myth. Second, Kennedy uses Mather to trace the shift from Puritanism to Evangelicalism. Mather's life not only spanned that transition, but Kennedy argues that Mather helped to promote it. 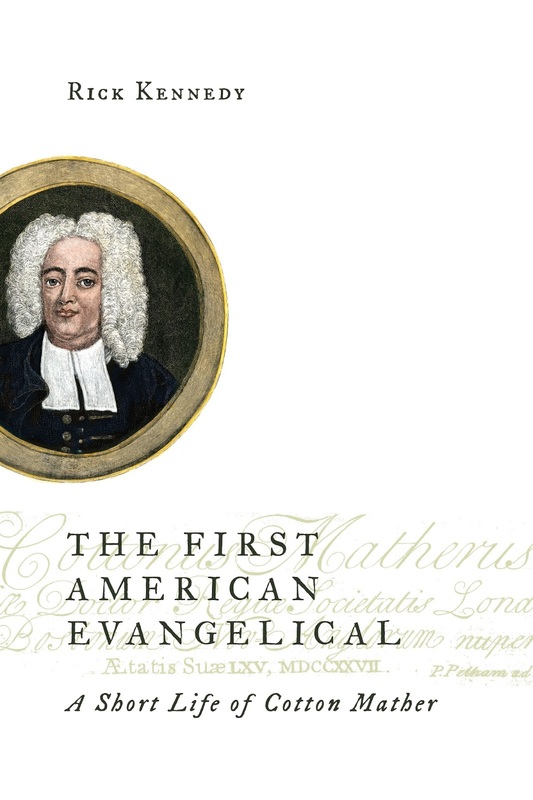 Although the next generation would experience the Great Awakening, Mather, in his life and writings, came to be "The First American Evangelical." Third, Kennedy describes well Mather's political orientation. Mather advocated for freedom within an orderly society. In political works and in his larger works like Magnalia Christi Americana and Biblia Americana, Mather laid out a form of godly republicanism operating within a constitutional framework. In this way, he carried on the Christian republicanism reflected in seventeenth-century New England (as documented by Michael Winship) and laid the groundwork for further political reflection in New England heading towards the American Revolution. Finally, Kennedy articulated a compelling account of Mather's understanding of learning and scholarship. In his method, he gathered knowledge like a honeybee does pollen, to create a structure of knowledge. In so doing, he recognized the importance of traditions of scholarship and reliability. His sense of truth, built out of communities of discourse, could actually find postmodern echoes. In contrast to European enlightened thought emphasizing the solitary reasoner, Mather promoted a historical and communal understanding of truth. In short, I found much to appreciate in Kennedy's account. I'll report back with how the book works in class. In the meantime, for commenters, are there any American Religious History books you're using for the first time this semester? Not this semester but last year I used Covington's Salvation on Sand Mountain in my American Christianities class for the first time with a lot of success. It sparked a lot of really great discussion from students. Some loved Covington, others pushed back against him, but all of them found the book really readable and engaging. In an honors version of the course we followed up with Orsi's essay "Snakes Alive!" which gave them a lot more food for thought.